Unifor is Canada’s largest private sector union with more than 315,000 members across the country working in every major sector of the Canadian economy. 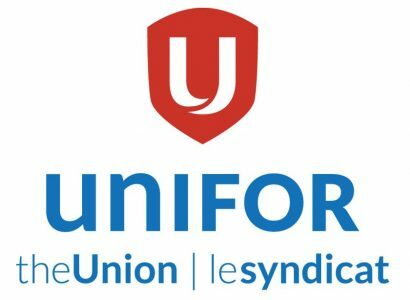 Unifor has launched its new mobile app for union members and the public to stay connected in an easy to use digital platform. The app is available for free on both iOS and Android and operates in both French and English. 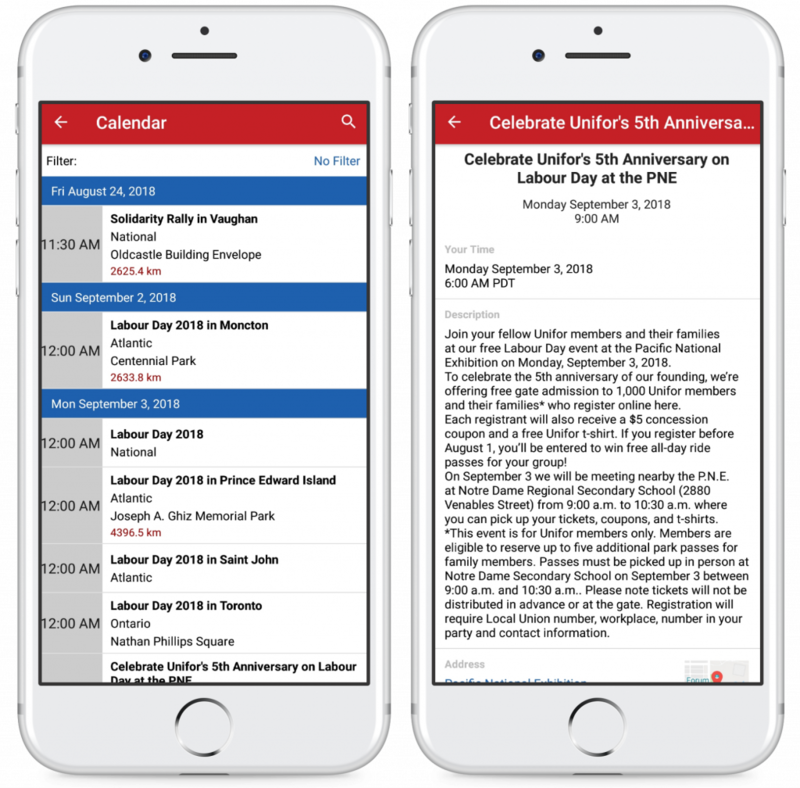 Primarily, the app focuses on the information most relevant to local Unifor activists, including breaking news, priority solidarity campaigns, and a calendar of events. Unifor runs advocacy campaigns, such as “Support Local 597! Send a letter to Dwight Ball” or “Universal Pharmacare” and plans to use the app to gain public momentum. 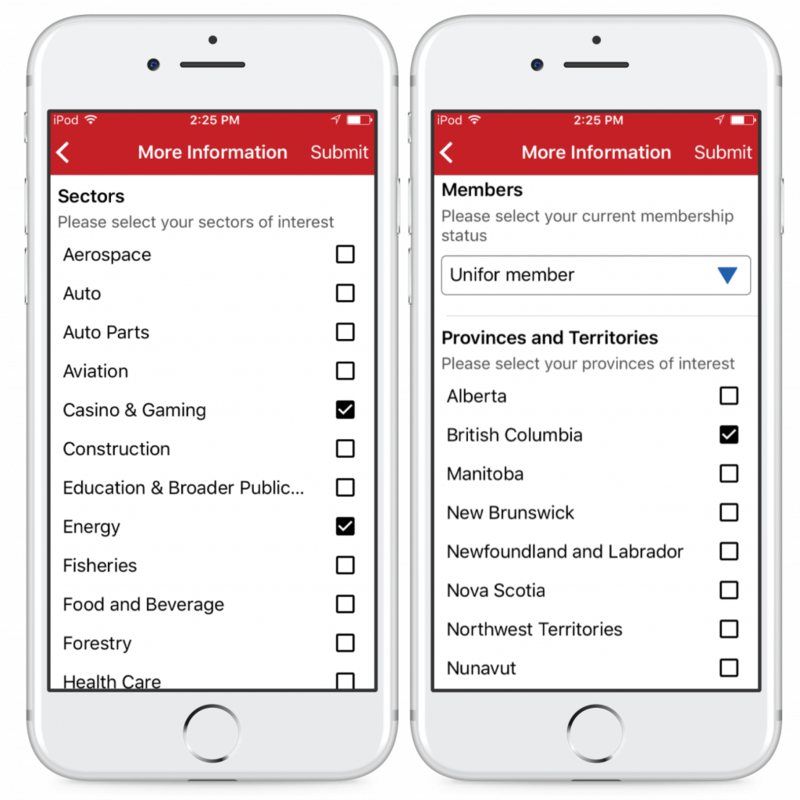 A series of targeted push notifications, based on union sectors, member status, and geographic location, can be sent to members across the country in seconds. 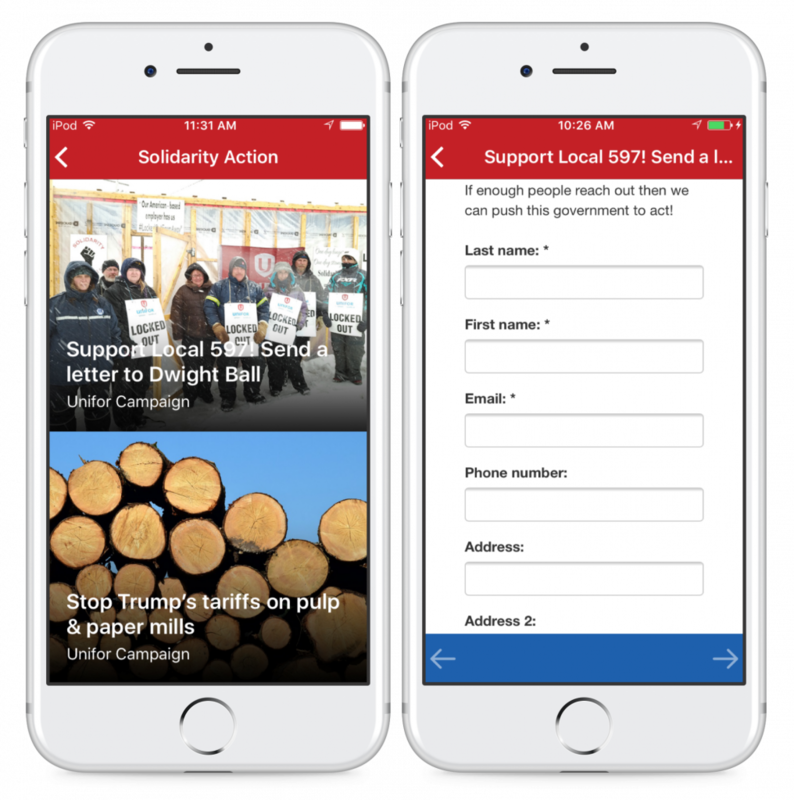 Union members have immediate access to campaign links and can send an advocacy email in minutes. The mobile app also includes a breaking news section, which is automatically updated on an ongoing basis. 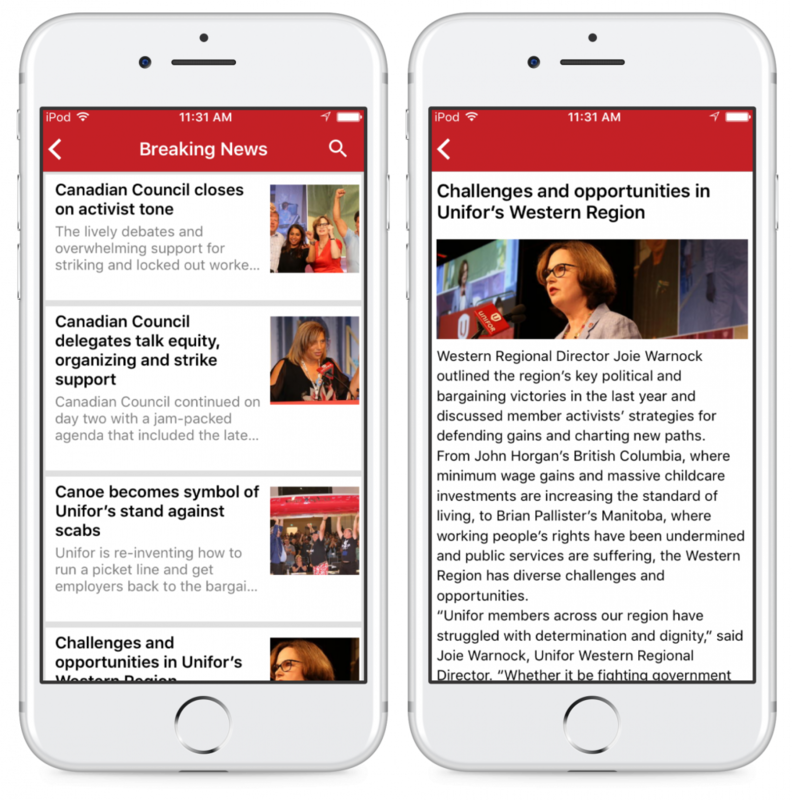 Unifor members can access the latest union news in seconds, making staying informed faster and more convenient. “Unifor has a comprehensive online presence. 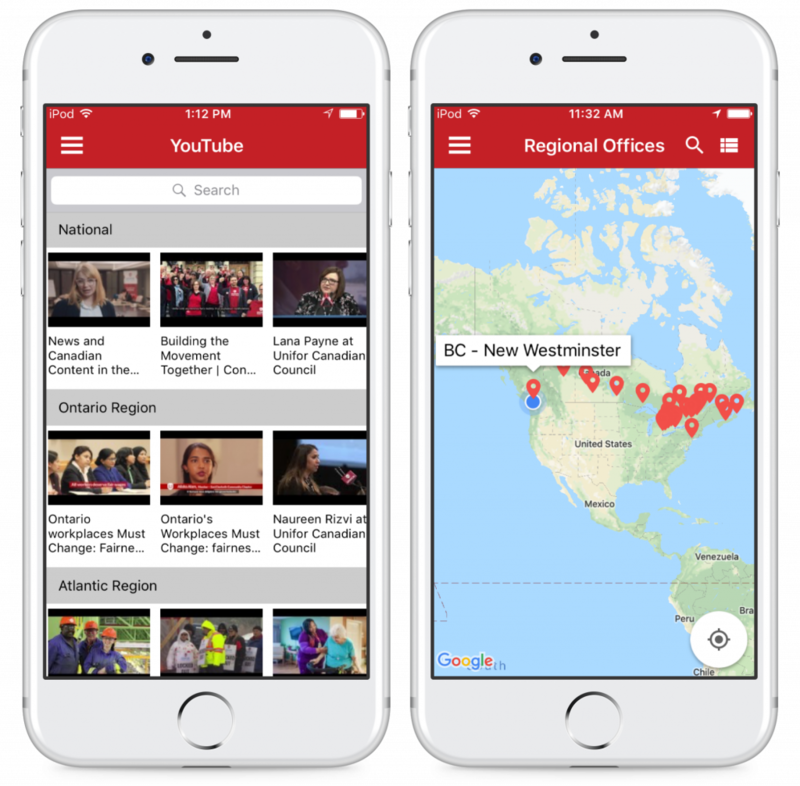 This new tool will help activists and allies stay up-to-date on campaigns and get more involved,” said Jerry Dias, Unifor National President. UNIFOR brings a modern approach to unionism: adopting new tools, involving and engaging members, and looking for new ways to develop the role and approach of unions to meet demands in the 21st century. 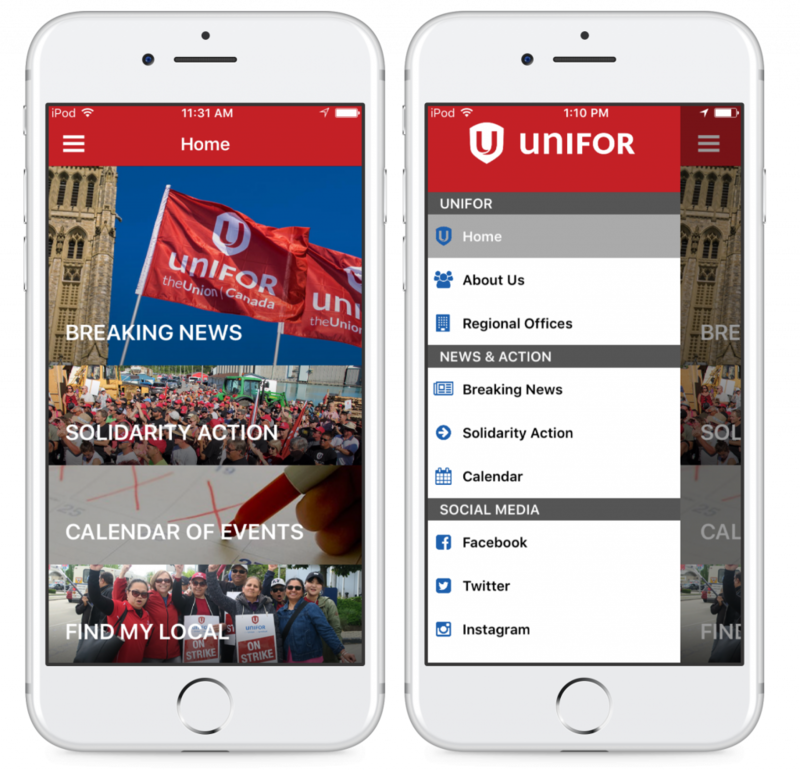 While the Unifor website remains the most complete source of news and resources about the union’s broad range of activities, the mobile app is designed to be the “at-a-glance” digital tool for staying engaged. “Members have told us they want easy access to news they can use about their union, on their mobile phones and we have delivered,” said Katha Fortier, Assistant to the National President in charge of the Local Union Task Force. The Unifor app was built using 14 Oranges’ Info Grove platform. Info Grove allows Unifor staff to independently add and edit content in the backend CMS. Staff can set geo-fences, add banner ads, and create new campaigns with the content management system. Click here to learn more about Info Grove mobile apps.